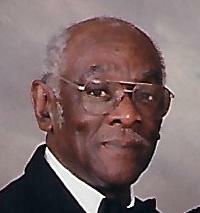 Mr. Theodore Williams, 85, of 817 East Pearsall Street, Dunn, passed away March 25, 2019. The family will receive friends at the home of Ms. Brenda Covington, 400 W. Vance St., Dunn. Survivors: wife - Bernice Williams of the home; bonus daughter - Brenda Covington of Dunn; four sisters - Dorothy Williams and Catherine Borden of New York City, Beatrice Bass of Bronx, NY and Joyce Louise Jones (Edmond Jones) of Amityville, NY; brother - Shelton Williams of Amityville, NY; three grandchildren - Cartina Crenshaw (Kenr) of Erwin, Montease Barfield and Jamar Crenshaw both of Dunn; seven great grandchildren, four great-great grandchildren; a special niece - Barbara Williams and many other nieces, nephews, and a host of other relatives and friends. The viewing will be held on Tuesday, April 2, 2019 at Dunn Chapel F.W.B. Church, 607 East Edgerton St., Dunn from 1:00 pm - 2:00 pm. The funeral service will be conducted on Tuesday, April 2, 2019 at Dunn Chapel F.W.B. Church, 607 East Edgerton St., Dunn at 2:00 pm. The burial will be in the Resthaven Cemetery, Dunn.